The IronMay Challenge is a community-oriented event hosted by Fellowship Baptist Church in Cheney, WA. The objective is for every participant and team to cumulatively complete an ironman-distance triathlon (2.4 mile swim, 112 mile bike, and 26.2 mile run) during the month of May. For some, this task will be incredibly easy; for others, it will be difficult. Ultimately, the mission of IronMay is to have a fun, positive impact on others through physical activity. 2019 marks the 12th year of this event - we hope that you choose to participate this year, so that you can have a role in keeping yourself, your family, your workplace, and your community fit and healthy. The event begins May 1st at 12:01 am (PST) and ends May 31st at 11:59 pm (PST). Only miles completed AND LOGGED during this time period count towards your IronMay total. The event can take place anywhere (even on a spaceship)! Therein lies the beauty, and uniqueness, of IronMay - anyone can participate wherever they live or travel in the world. 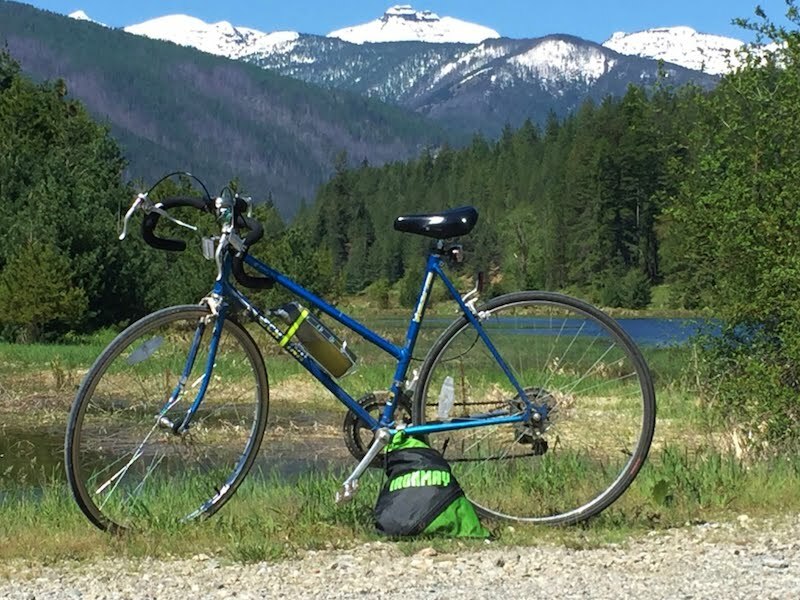 Since the miles are logged online, all you need is an internet connection to participate. Even teams don't need to be in the same physical location. Regularly, there are several family teams that live in different areas of the country or world who can come together to participate as one. 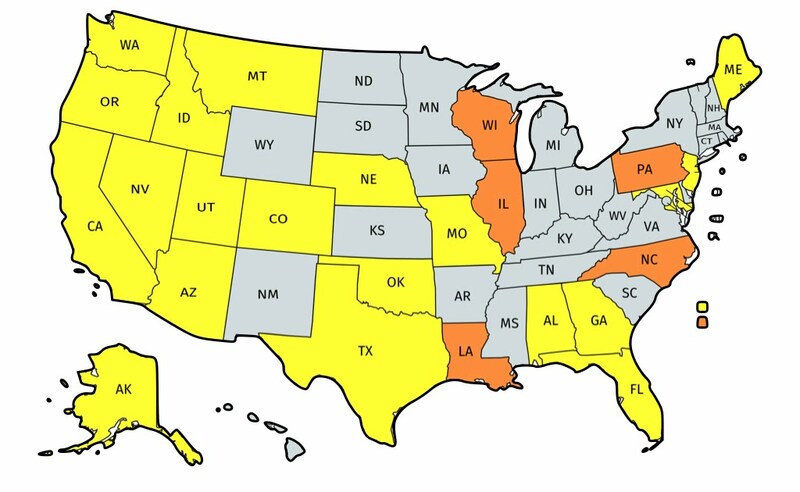 In 2018, participants from 25 U.S. states and 7 countries participated in IronMay! Let's make it more for 2019! Spread the IronMay message for us! The Early Entry Fee is $11 per participant. Early entries must be received by April 26th. The Late Entry Fee (April 27th-May 8th) is $15 per participant. Thanks to the generous support of our sponsors, community, and participants, IronMay has been able to keep entry costs low to maximize access to the event. If you wish to support that commitment, consider making a donation. Cumulatively, the three legs total 140.6 miles - a full ironman-distance triathlon. You may exceed the minimum miles for each leg during IronMay, so keep logging your miles if you surpass them. Multiple awards are up for grabs, including the most ironmans completed by individuals and teams. Swim: You may use an indoor pool or an accessible lake, pond, puddle, or ocean. Any stroke can be used to complete the required distance, even doggy paddling. When mileage is unknown, check out the pool lap conversion factor provided in the FAQ section. Bike: You may ride outdoors or use an indoor stationary bike. When mileage is unknown, check out the time conversion factor and resources provided in the FAQ section. Run/Walk: You can walk, jog, or run on tracks, treadmills, roads, trails, etc. When mileage is unknown, check out the track lap conversion factor and resources provided in the FAQ section. Local gyms, campus or work exercise facilities, and other fitness facilities/programs are all excellent options for IronMay participants. Feel free to contact us via email for more ideas. Once you have registered and paid your entry fee, you are responsible for logging your swim, bike, and run/walk mileage through the IronMay website. To do so, please utilize the Mileage Log (accessible from the menu along the top edge of the website) that corresponds to your Competition Division. Only miles completed AND LOGGED during this time period count towards your IronMay total. Every participant, even those on teams, should log their own individual mileage. Please log your miles as frequently as possible! Logging miles is, of course, based on the honor system, so please be truthful and accurate whenever you log miles. IronMay is about challenge and friendly, fair competition - don't be the person who spoils this. You can choose to participate in IronMay as an individual or team member. You can only participate in a single division/category. For example, you cannot participate as an individual and also on a team. You are solely responsible for completing the minimum distances for all three legs within the month of May. Recreational: This division is intended for individuals who simply want to have fun and challenge themselves by completing at least 1 ironman-distance triathlon by the end of May. Champion division: NEW for 2019, this division is for individuals who go full BEAST MODE and complete 4+ ironman-distance triathlons in May. Anyone who qualifies for this division will automatically earn a Champion t-shirt and compete for additional awards. All teams can be comprised of 2-5 members. Team members can divide the IronMay distances between themselves in any manner. For instance, each member can tackle a specific leg or all members can equally split the distances for all three legs. Remember, the team total is the finisher goal - each team member does not have to complete an ironman-distance triathlon! Recreational: This division is intended for teams who simply want to have fun and challenge themselves by completing at least 1 ironman-distance triathlon by the end of May. Family: Family teams are a great option to encourage physical activity and exercise as a family, develop or reinforce lifelong physical activity patterns, and spend time as a family. In particular, children of any age are encouraged to participate on family teams. There also is an award for the family team that has the largest age spread (oldest to youngest members). Recruit family members on both ends of the age spectrum! Corporate: This division provides business teams the opportunity to compete against one another. In the past, some businesses have fielded multiple teams, which allowed for mini-competitions at the office. If you are interested in this division, we encourage you to round up others in your office to field a team (or multiple teams). Champion division: NEW for 2019, this division is for rec, family, and corporate teams who go full BEAST MODE and complete 10+ ironman-distance triathlons in May. Any teams who qualify for this division will automatically earn Champion t-shirts and compete for additional awards. 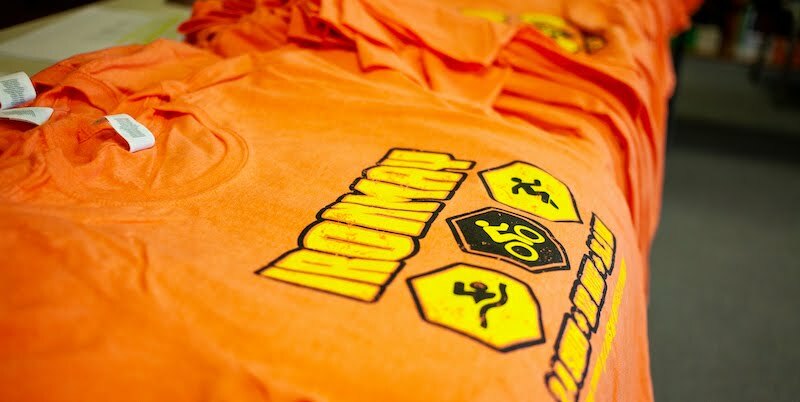 All IronMay finishers (individuals and teams) will receive a Finisher or Champion shirt at an awards ceremony following the event. If you are unable to attend an awards ceremony, your Finisher or Champion shirt can be mailed to you for the cost of postage. In addition, there are several awards up for grabs during IronMay. Some awards are specific to the competition division in which you participate. Other awards are open to all participants (including non-finishers). You can find out more info about the available awards here. There are several Mini Challenges throughout the event. If you complete a Mini Challenge, please let us know about it with the online notification form. Participants who complete Mini Challenges qualify for specific prize raffles at the awards ceremony. You can complete as many different Mini Challenges as you like, however, your name can only be entered in each mini challenge drawing one time. We've got answers! Please check out the FAQ page for more info or contact us via email at (IronMayChallenge@gmail.com).